As more becomes publicly known of the final days and hours of John P. Wheeler 3d, an image is emerging of a man coming unglued. Less than 48 hours before the respected former Pentagon aide turned up dead last week in a Delaware landfill, Wheeler limped into a Wilmington parking garage. Coatless and confused, one of his shoes in hand, he bizarrely inquired about the location of his car, then declined offers of help, witnesses said. A day later, police said Wednesday, surveillance video captured Wheeler in downtown Wilmington again - this time looking "confused" inside the Nemours Building at 10th and Orange Streets about 8:30 p.m. Dec. 30. That was less than 14 hours before Wheeler's body tumbled into a Wilmington landfill from a garbage truck. Police have called his death a homicide, but have refused to disclose how they believe Wheeler, 66, died. "I knew something wasn't right," said Iman Goldsborough, a parking-lot attendant who encountered Wheeler on Dec. 29, "but I never thought it would end up like this." Also this week, police found evidence that Wheeler may have been involved in an arson attempt at the home of a couple he had been battling in court, a law enforcement source has told The Inquirer. It all runs counter to the burnished public image of Wheeler, who served in Vietnam, successfully pushed for the Vietnam Veterans Memorial on the National Mall, advised presidents and Pentagon brass, and served as the first chief executive of Mothers Against Drunk Driving and as secretary of the Securities and Exchange Commission. Phoebe Dill, a friend and neighbor of Wheeler and his wife, Katherine Klyce, in New Castle, Del., said she last saw Wheeler on Christmas Eve when her husband, Robert, drove him to the train station. "He was going to New York with his wife's Christmas present," she said. Wheeler and Klyce have a condominium in Manhattan. Dill said she assumed Wheeler then took a train directly to Washington, near his consulting job at Mitre Corp., a defense contractor in McLean, Va. The news that Wheeler appeared disoriented in Wilmington several days later greatly distressed her and her husband, she said. "It's a terrible thing to happen to anyone," she said, surmising a medical problem had occurred. After working at Mitre on Dec. 28, Wheeler is believed to have taken a train from Washington to Wilmington. That night, police said, smoke-bomb devices were set off in an unfinished New Castle home across from Wheeler's that belongs to a couple with whom he was long embroiled in a court battle over the dimensions of the house. On Dec. 13, a Chancery Court judge denied Wheeler's application for a temporary restraining order. Wheeler's lawyer, Bayard Marin, has said he last spoke to Wheeler on Dec. 27 - the day before the arson attempt. Marin doubted the dispute had anything to do with Wheeler's death. He declined on Wednesday to comment further. On Dec. 29, Wheeler turned up at a pharmacy in New Castle at 6 p.m. and asked the pharmacist for a ride to Wilmington, the Wilmington News Journal reported. The pharmacist, who declined comment Wednesday, told the newspaper that Wheeler looked "different" and "a little upset." He said he offered to call a cab, but Wheeler refused and left. About 30 minutes later, Wheeler entered the parking garage attached to the New Castle County Courthouse in Wilmington, about seven miles from the pharmacy. How he got there has not been explained. A surveillance video shows Wheeler limping inside, wearing a dark suit but no overcoat, his white shirt open at the collar, clutching one tasseled loafer. "He said he wanted to warm up before getting his car," Goldsborough said. She suggested he close an outside door and stay in the vestibule area. His car, it turned out, was not in that garage. After his death, it was towed from a garage near the train station several blocks away, where he was a monthly customer. Goldsborough said Wheeler told her he had been driven from the train station by his brother, had been robbed, and was recovering from the recent death of his mother. He declined Goldsborough's offer to contact police, she said. Dill, Wheeler's neighbor, said that the limp was not new, but that Wheeler's brother and mother "both died some years ago." While looking for his car, Wheeler encountered two departing courthouse employees who declined Wednesday to be quoted by name, saying they feared losing their jobs. They said that they encountered Wheeler about 7:30 p.m., that he was having trouble locating his vehicle, and that he wondered aloud whether he was in the right garage. Wheeler said he didn't have his garage ticket because his wallet and briefcase had been stolen. When asked if he needed money, he told the workers that he had $120. He also declined their offer to call police, they said. 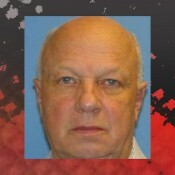 All three people who encountered Wheeler described him as clean and neat. His responses to their questions, they said, seemed labored but lucid. All said they wished they had called police anyway. "We feel that we should have done something more," one woman said. Where Wheeler spent the night is not known, although he reportedly said he was staying at a nearby hotel. Officials at the nearby Hotel du Pont declined comment. Police initially had said that Wheeler was last seen around midafternoon the following day, Dec. 30, near 10th and Orange Streets. On Wednesday, they disclosed that surveillance video showed him inside the Nemours Building there as late as 8:30 p.m. Sometime between then and the next morning, Wheeler turned up dead in a Dumpster in Newark, about 15 miles away. Police believe he had been in one of 10 bins collected beginning at 4:20 a.m.
His body was spotted as the collection truck dumped its load about 10 a.m. at the Cherry Island Landfill in Wilmington.